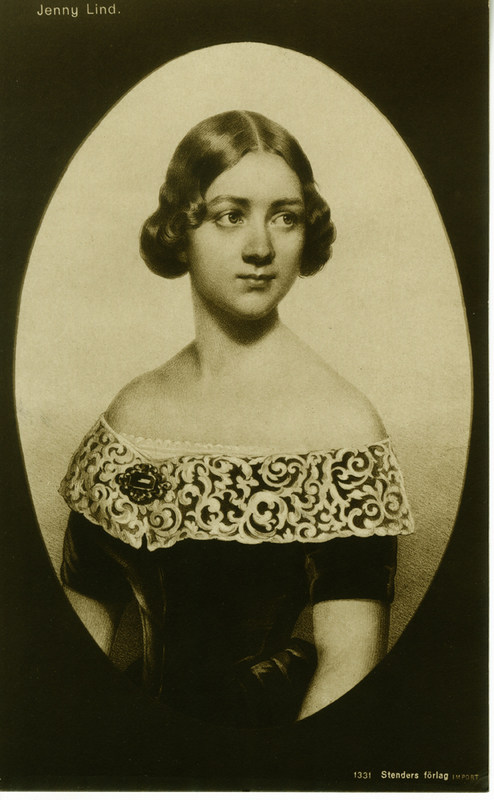 Jenny Lind, the acclaimed soprano from Sweden often referred to as the “Swedish Nightingale,” arrived in New York City in September of 1850. Her first two American concerts were delivered in New York City at Castle Garden, today more commonly known as Castle Clinton, on September 11th and 13th. Arranged by the well known entertainer P. T. Barnum, the concerts were intended to raise money for charity. 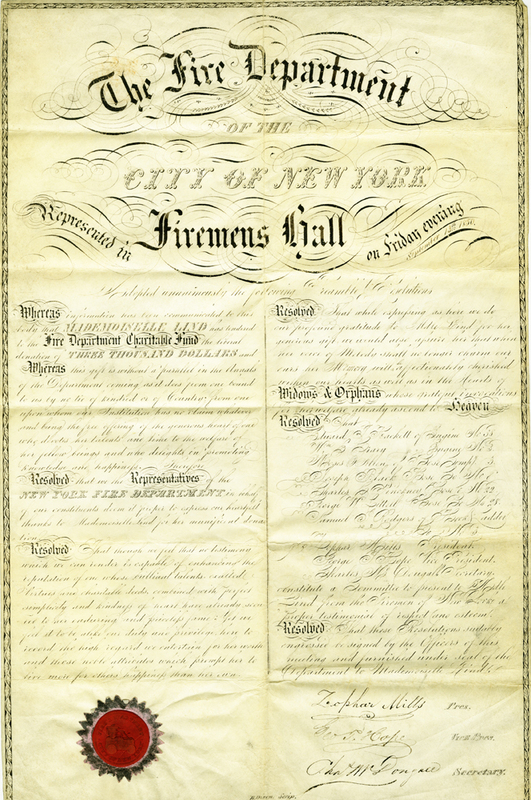 Among the recipients of the proceeds from Ms. Lind’s concerts was the Fire Department Charitable Fund, which was founded in the late 18th century by the members of the volunteer fire departments to provide aid to indigent or disabled firemen and their families, and widows and children of firemen killed in the line of duty. Birds of America, by John James Audubon, 1844. Volume I. Museum of the City of New York. 52.24.2A. The firemen further expressed their gratitude to Lind by presenting her with a seven volume set of John James Audubon’s Birds of America, by J. J. Audubon, New York, and J. B. Chevalier, Philadelphia; published by lithographer J. T. Bowen, 1840-1844. The set was contained within a rosewood bookcase cabinet by Thomas Brooks. Both the seven volume set and the bookcase were donated to the Museum’s collection by antiques dealer Arthur S. Vernay in 1952. In the 1820’s Audubon declared his intention to paint every single species of bird in America. Lacking financial support, Audubon raised interest and funds for his project by traveling and lecturing throughout the United Kingdom and in Paris. 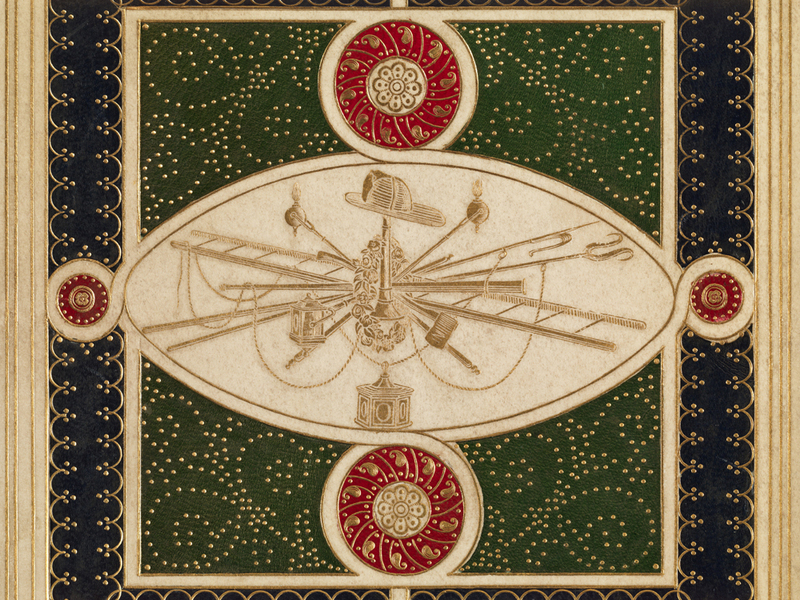 This first edition – sometimes called the Havell Edition after its printer, noted London animal engraver Robert Havel; or the Double Elephant Folio, for its size – was completed over thirteen years and issued in 87 sets of five plates every month or so. Scottish ornithologist William MacGillivray and Audubon later co-authored an accompanying five volume text in the 1830’s. 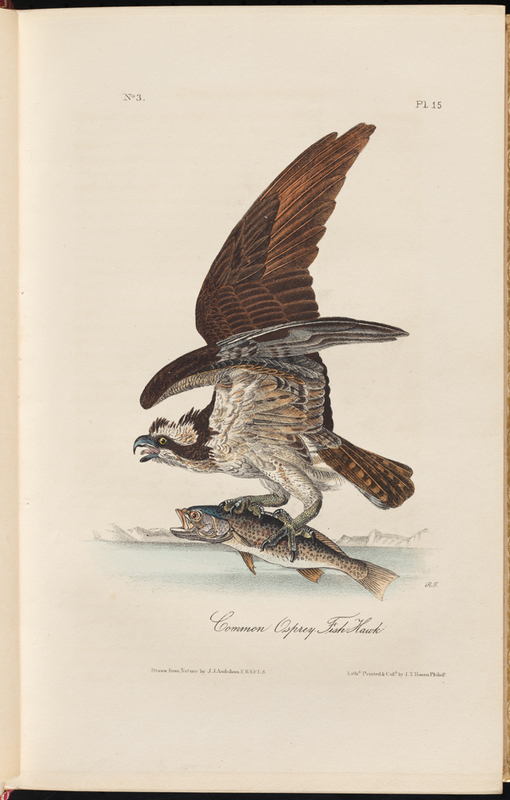 Common Osprey Fish Hawk from Birds of America, by John James Audubon, 1844. Volume I. Museum of the City of New York. 52.24.2A. All together, the plates and text cost consumers of the time approximately $1,000–the equivalent of $28,000 today. Recognizing the need to provide a more affordable option, Audubon contracted Philadelphia lithographer J. T. Bowen to publish the “Royal Octavo” edition, incorporating the MacGillivray/ Audubon text directly into the books alongside the illustrations themselves. Like the Havell or Double Elephant edition, the Royal Octavo was issued in sections. Between the years of 1840 and 1844, 100 sections of five plates and accompanying text were issued, with the intention they be bound in seven volumes by the purchaser. Five more octavo editions were published, with the last printed in 1871. As the second octavo edition did not go into print until 1856, and the Museum’s set was presented to Lind in 1850, the Museum holds a First Octavo Edition. 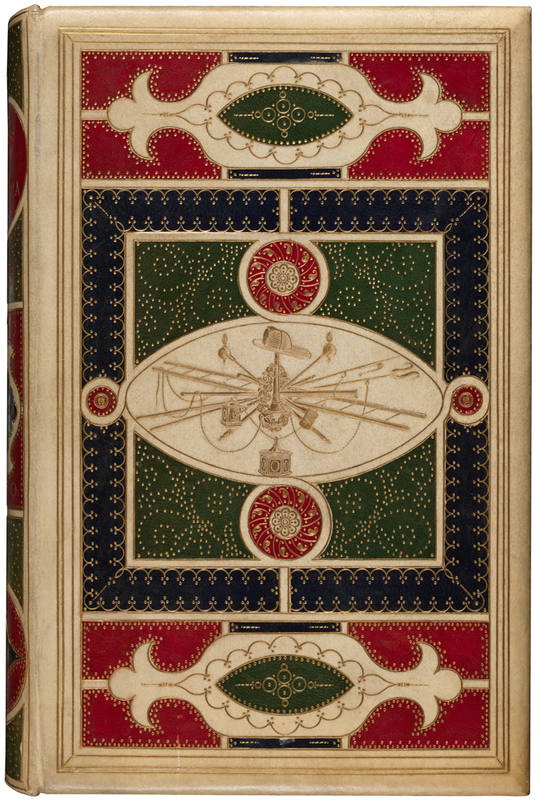 The volumes were custom bound by the book binder Matthews and Rider of New York in leather with gilding and red, green, and blue inlays, with a center cover design of ladders, grapnels, lanterns, and a fireman’s helmet. 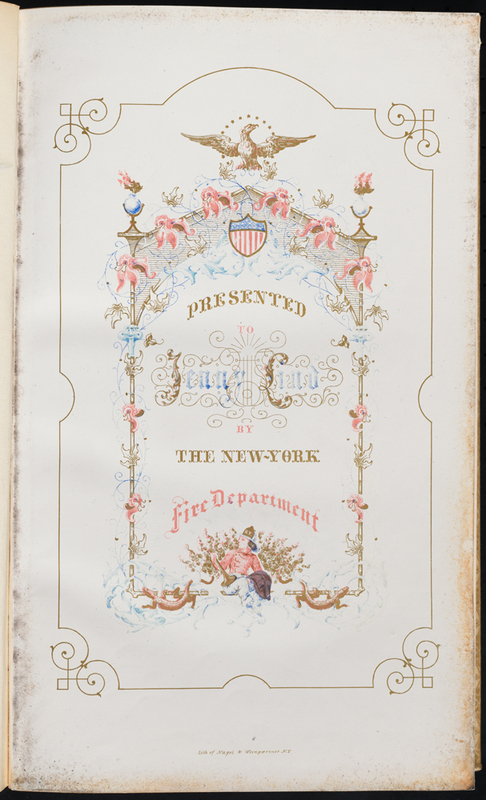 The Museum does not have any specific information about how these volumes came to be in possession of the Fire Department Charitable fund, but one may assume the Fire Department purchased the set of Birds of America in tribute to Ms. Lind’s nickname “the Swedish Nightingale,” and then chose this binding to represent their profession. Cover inset, Birds of America, by John James Audubon, 1844. Volume I. Museum of the City of New York. 52.24.2A. Each volume also has inset a leaf before the title page dedicating the books to Jenny Lind. Dedication page from Birds of America, by John James Audubon, 1844. Volume I. Museum of the City of New York. 52.24.2A. While no one knows exactly how many complete sets of the First Octavo Edition of Birds of America exist today, it is estimated that only about 1,000-1,200 were ever issued. In light of the rarity of the publication, and the unique significance these volumes bear to Jenny Lind and the role of the Fire Department in New York City, the Museum recently hired book conservator Erin Albritton to construct custom clamshell boxes for each of the seven volumes of Birds of America. Each volume was measured individually so the boxes would fit exactly and provide protection for the set for decades to come. Custom clamshell housing for Birds of America, by John James Audubon, 1844. Volume I. Museum of the City of New York. 52.24.2A. The Museum has not digitized its volumes of Birds of America, but the Audubon Society has digitized a First Octavo Edition, available here. This entry was posted on May 6, 2014 by Lindsay Turley in Manuscripts and Ephemera and tagged Arthur S. Verney (1877-1960), Benefit concerts, Castle Clinton, Castle Garden, Charity, conservation, Firemen, Jenny Lind (1820-1887), John James Audubon (1785-1851), New York Fire Department, Rare books.